Do you want to make the fabric of your clothes and furniture incredibly soft quickly and without losing a lot of money? Through this article you will have the unique chance to learn how to do that only with natural ingredients and scents. Even though you might think that you are currently using eco cleaning products and conditioners, the truth is that many of those products are green only on their labels. In fact they are as dangerous and filled with poisonous chemicals as any other supplies, so the only way to be sure that you and your loved ones are protected is by making your own softeners and disinfectants. How to achieve that we will tell you now by presenting several different and very effective natural recipes for a homemade fabric softener. They will save you money because you already have the required components in your home and all that is left is to combine them, test them on your things and enjoy the amazing effect. 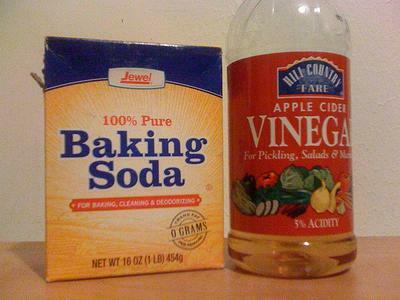 The vinegar is famous for its various powerful qualities with the cleaning and the disinfection and now it can serve also as a main ingredient in your homemade conditioner. If you use it on your laundry, it will not only make the textile of the clothes softer but will also erase the soap that remains inside your washing machine after the cycles. For this recipe you will need white vinegar and a couple of drops from your favorite essential oil. The quantity depends on the amount of laundry you will do but make sure that you have enough vinegar before the beginning of the washing. You can put the blend mixture directly into the compartment of your washing machine which is specially designed for the fabric softener. The baking soda is a great helper not only in the kitchen but also with the laundry. A homemade fabric conditioner including that ingredient will be as powerful as the first one and will also reinforce the cleaning of the materials. Except the baking soda, you will also need hot water, hair conditioner and again vinegar which you can combine in a vessel. The last two ingredients are optional but if you decide to leave them out that won't change the final excellent result. Exist a lot of recipes which suggest using borax and vinegar together as a stronger conditioner for the fabrics but that is not recommended. Instead of softer clothes you will receive only salt as a result of an acid-base reaction. The borax will be enough to get the job done the way you expect. This components will make the water softer in your washing machine and any clothes that go through it will come out also very soft. For one load you can use ½ cup of the ingredient. Those amazing little components which will transform the condition of your favourite clothes and possessions could be also of great assistance with other of your household chores like the cleaning. http://www.flatcleanlondon.co.uk/ recommends using it without any concerns for cleaning the kitchen goods like the oven and the stove. The floors will be sparkling, if with the water you also use a little vinegar. The windows and all dusty surfaces in your place will be also thoroughly cleaned and deodorized if you treat them with those amazing products. The homemade blends fixed with natural ingredients of any kind are a great solution for all types of cleaning situation you've ever experienced in your home. This eco technique saves money and will definitely save you from a lot of visits to the doctor later. You will be enjoying softer and better smelling clothes whenever you want and will have more finances in your bank account.